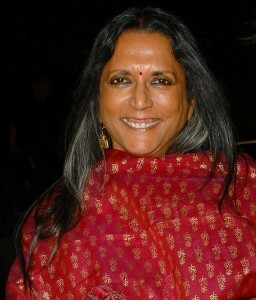 Canadian-based filmmaker Deepa Mehta was born in Amritsar, India in 1949. She received a bachelors and masters degree in philosophy from the University of New Delhi, where she met her husband, Canadian filmmaker and producer Paul Saltzman. Shortly after getting married, she immigrated to Canada in 1973. However, the marriage was short lived, and they divorced. She has one daughter, Devyani, of whom Mehta says: “I really admire her. She is proud and satisfied of being who she is. That is something lovely about her and possibly nurtured by her father and mother’s absolutely crazy life” (Ramchandani). By the time I was in university I knew I wanted to have nothing to do with film! I had been saturated with it…I was going to do my dissertation for my PhD, and I met a friend who said they needed someone to work part time in a place called Cinematic Workshop, a small place that made documentary film in Delhi. I learned how to do sound first, and then I learned camera work; I learned to edit and then finally I made my own documentary and discovered how much I loved it. I’ve never felt Canadian. I used to be upset about being called an ovisible minority, that’s what they called coloured people there. I used to come to India and was called an NRI [Non Resident Indian] here. The problem was not about belonging anywhere; it was a dislike for labels… Now I feel very happy being who I am, Deepa Mehta. Mehta views herself as a kind of cultural hybrid. Quoting a character from Salman Rushdie’s collection of stories East, West who is asked whether he is British or Indian, Mehta says, ” ‘I refuse to choose.’ That’s how I feel. I refuse to choose. I spend about half of each year in each country. My daughter is a Canadian. I’m an immigrant here, and I wouldn’t stay exclusively in either place” (Lacey C8). Although Mehta has no formal training in filmmaking, she began her cinematic career producing documentaries and writing scripts for children’s films. In 1991, Mehta produced and directed her first feature film Sam & Me, a story about an unlikely friendship between two outcasts who form a deep bond despite the fact that neither is welcome in the other’s world. It won the critic’s Honorable Mention at the Cannes that year. In 1992, she guest-directed a one-hour episode of George Lucas’s Young Indiana Jones Chronicles. The following year, Mehta directed her second feature film, Camilla, staring the late Jessica Tandy and Bridget Fonda. It was released worldwide in 1995. Also, Mehta directed the final episode of Lucas’s Young Indiana Jones Chronicles in 1994. Mehta’s other works include a trilogy composed of Fire, which is about the politics of sexuality; Earth, which is about the politics of nationalism; and Water, which is about the politics of religion. Mehta wrote, directed, and produced her third feature film Fire. It opened the Perspective Canada Programs at the 1996 Toronto International Film Festival, where it tied for the Air Canada Peoples Choice Award. Earth, based on Bapsi Sidhwa‘s novel Cracking India, was shot in New Delhi in January 1998. This film also won many awards including the Prix Premiere de Public at the Festival du film Asiatiquede Deauville, France in March 1999 and the Critic’s Awards at the Schermid’ Amore International Film Festival. The last in the trilogy, Water, was shot in 2000 and released in 2005. The film sparked controversy in Varanasi, where the shooting was supposed to take place, but due to protests and vandalism from the local political/religious parties, shooting was moved to West Bengal. One of Mehta’s more recent projects was a collaborating on a film version of Midnight’s Children with writer Salman Rushdie. The film is a hybrid of animation and live-action, which allows for the imaginative elements of Rushdie’s narrative to come to life. Mehta admits her films are influenced by her life and her experiences: “When I wanted a divorce it took me two years to do it, even though I considered myself a liberal woman. It was during those two years I wrote Fire” (Ramchandani). The film is a powerful critique of the rigid norms of a patriarchal, post-colonial society that keeps both sexes down. All of the characters are trapped in their own lives, but two of them find a way to escape by discovering their inner desires. The film opens with the image of a family sitting in a vast field of flowers with the mother telling a tale of a group of people who live in the mountains. “They had never seen the sea,” she says, “though they wanted to see it. They were sad because of this. ‘Don’t be sad,’ and old woman says, ‘what you can’t see, you can see – you just have to see without looking’” (Morris). This becomes the theme for Mehta’s film – discovering one’s true nature and choosing to live authentically, no matter what the cost. The bisexual relation became a symbol of how far one can go to break that traditional mold. Are they willing to pay the price of the passion? By making it bisexual, I raised the stakes. Initially, especially in India, the gender issue was really the one that got everybody in flames, dare I say. But it has done what I desire and hoped that Fire might do, which was start a dialogue. They have gotten over the gender thing and now it’s perceived as a film that has questioned the status quo and the status of women. While the larger theme of Earth is the violent political upheaval of 1947 during the partition of India and Pakistan, the heart of the film is a love story involving three people: Shanta, a beautiful, young Hindi governess to an eight-year-old Parsee girl, and Shanta’s two suitors, Hasan and Ice Candy Man, both Muslim. The film, which depicts the mistrust, racism, religious intolerance, and violence that erupted then and continues today among Sikhs, Muslims, and Hindus, is seen through the eyes of the eight-year-old Parsee, who is part of an independent sect that is neutral among Sikhs, Muslims, and Hindus. Even though my film is very particular, in the sense that it’s set in 1947 and it’s about the division of India into India and Pakistan, it’s also really an exploration of what colonialism does to countries. So wherever the British, or it could be anybody but for us it was the British, whenever they flew [sic] the country, they divided it. And they leave us holding the mess. Mehta used this film as an opportunity to say something about the period because she felt no one really knew about it outside India and Pakistan, but she wanted it told through a neutral perspective (Kirkland 9/11/98). The film did not provoke the violent reaction that Fire did; a board of government censors approved it with a single cut, the elimination of profanity (Kirkland 8/7/99). The third film in the trilogy is about Indian widows in the 1930s. In the past and present, women whose husbands died were forced to enter “widow houses.” Labeled as worthless, these women were often forced to turn to prostitution in order to survive. Mehta chose the holy city of Varanasi as the location of her film because widow houses still exist there. However, even before production on the film began, controversy was ignited. Two thousand protestors stormed the ghats, destroying the main film set, burning and throwing it into the holy river. Protestors burnt effigies of Mehta, and she received threats to her life. Three main political/religious parties led the angry mob: Bharatiya Janata Party (BJP), Vishwa Hindu Parishad (VHU), and the Kashi Sanskrit Raksha Sangharsh Samiti (KSRSS). Also, a party, Raksha Sangharsh Samiti (RSS) formed overnight specifically targeting Mehta. The KSRSS claimed themselves as the guardians of the culture of Varanasi and threatened her with violence. The RSS claimed that the world did not need to hear the problems of the widows in India and argued that Mehta has been poisoned by western influences and was simply looking for a story to sell (Yuen-Carrucan). Following the protests, the Indian Prime Minister Atal Behari Vajpayee intervened and allowed the filming to continue. The filming was moved to West Bengal. In reaction, Mehta said, “What is so scary is that people are reinterpreting what the rules are regarding culture. If I could just say one thing to those who oppose my work, it would be: ‘Lighten up guys’ ” (Harding 4/21/00). Craughwell, Kathleen. “Movies Grounded to ‘Earth’ Political Upheaval in 1947 India is the subject of the second film in director Deepa Mehta’s trilogy.” Los Angeles Times. 9 Sept. 1999: F10. Harding, Luke. “Screen: No bridge over troubled Water.” The Guardian [India]. 21 April 2000. Kirkland, Paul. “Deepa’s values are down to Earth.” Toronto Sun. 25 Sept. 1999. —. “Deepa Mehta takes on the customs of India in the first of three works.” Toronto Sun. 24 Sept. 1997. —. “Sects and violence in Mehta’s cinema.” Toronto Sun. 11 Sept.1998. —. “Will Earth spark a Fire? Deepa Mehta expecting another stormy debut in India for her latest film.” Toronto Sun. 7 August 1999. Lacey, Liam. “East meets west in Deepa Mehta’s film.” Globe and Mail [Toronto]. 20 Sept. 1997: C8. Ramchandani, Vinita. “Passionate Plots.” (6 Dec. 1998) The Week. 10 Nov. 2001. Web. <http://www.the-week.com/98dec06/enter.htm> No longer available online.